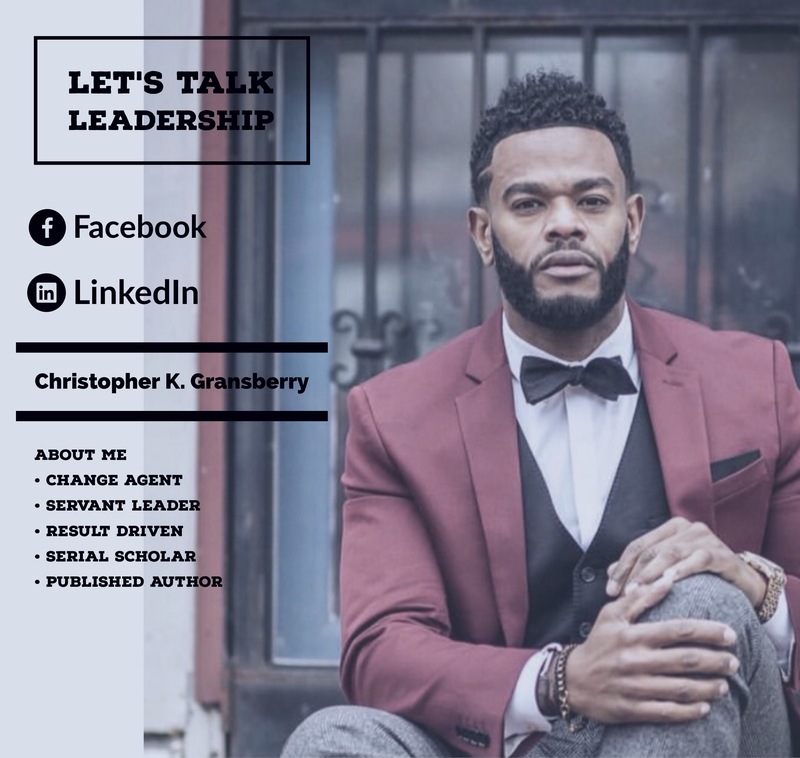 Let’s Talk Leadership – Christopher K. Gransberry Sr. In contemporary times, running an organization is continuing to be a hard task, particularly in a highly fluid and fast-paced business world. I have personally witnessed great advancements in technology, new strategies in hiring and advanced political changes coming with new administrations, which in turn are coming up with new policies affecting businesses globally. When all these are coupled with the day-to-day challenges of running an organization, business leaders notably have to face intense pressure. Lets talk leadership! I am a CEO, business consultant & researcher, and a organizational leadership expert. I can be reached at chris.gransberry@gmail.com.